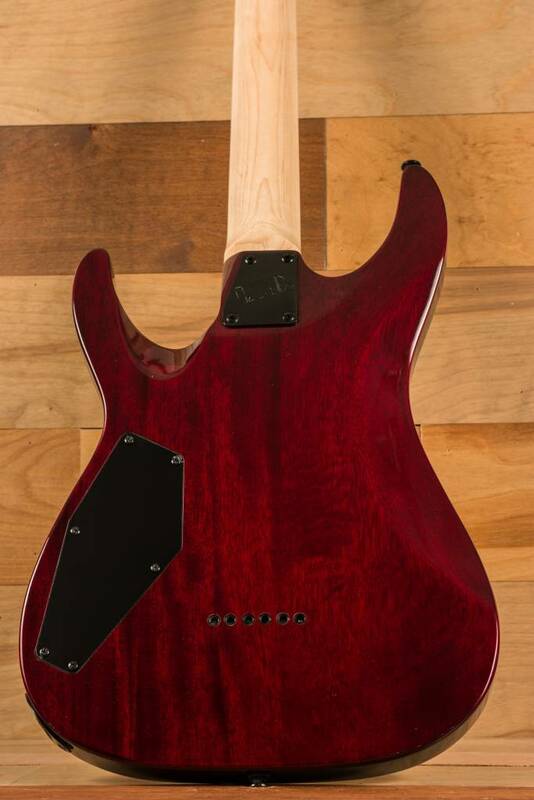 The MH-200QMNT offers the arched top of the ESP Horizon with the aggressive styling elements of the M Series, all wrapped in an affordable high-quality instrument, and adds a quilted maple top in See Thru Black Cherry finish. 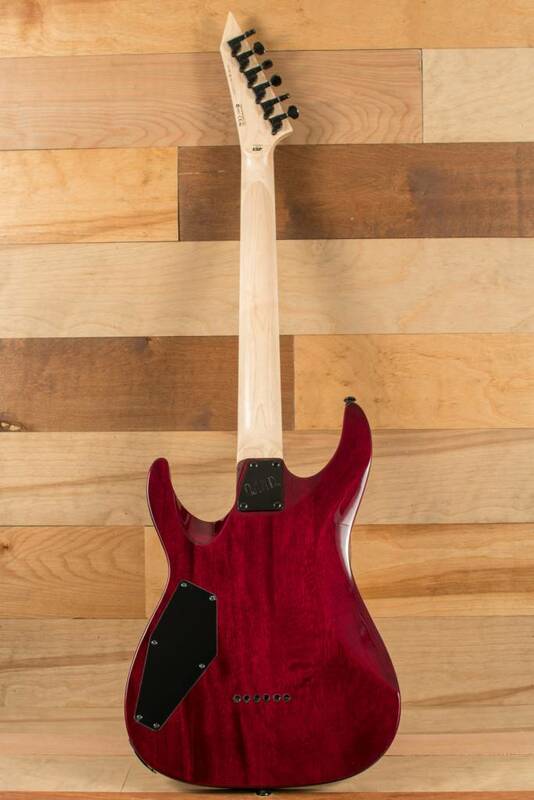 The MH-200QMNT offers the arched top of the ESP Horizon with the aggressive styling elements of the M Series, all wrapped in an affordable high-quality instrument, and adds a quilted maple top in See Thru Black Cherry finish. 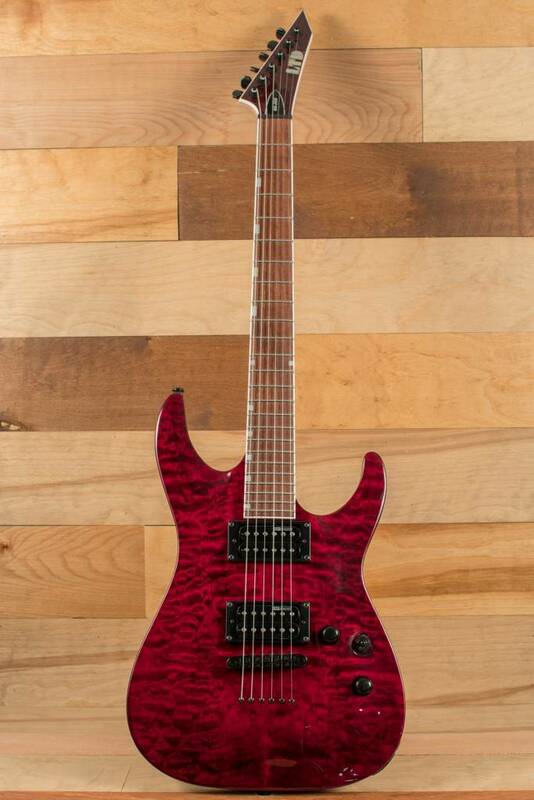 It features bolt-on construction of a mahogany body with a maple neck and roasted jatoba fingerboard with 24 extra-jumbo frets. 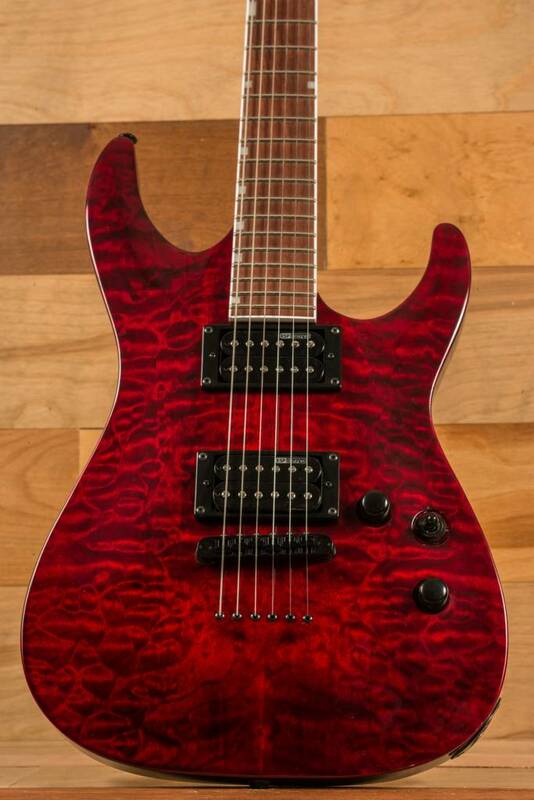 Its sound is powered by powerful, punchy ESP Designed pickups and it has a TOM bridge with string-thru-body design.